I have reinvigorated my love for astronomy. When I was a teen I joined a local Astronomy club. I attended many nights under the stars braving the elements to catch a glimpse of our universe. My understanding of the stars, while starting to develop, was possibly driven at least in part by the search for E.T. Although I had an immature understanding of the probability of me discovering life on another planet while looking through an optical scope on the surface of the planet I can say it drove me to learn about things that my friends where oblivious to. Time went by and I got caught up in all things adolescence and my desire to learn more was pushed out in favor of the chase of girls and popularity. I am now in my thirties (pushing it) and acquiring a small cheap department store telescope tapped the vein and like a true addict I relapsed into a deep well of desire for more. I rushed to purchase a scope I couldn't really afford and so began my journey back to the center of the universe. I share with you today the first photo I took of the Gassendi Crater on the moon. 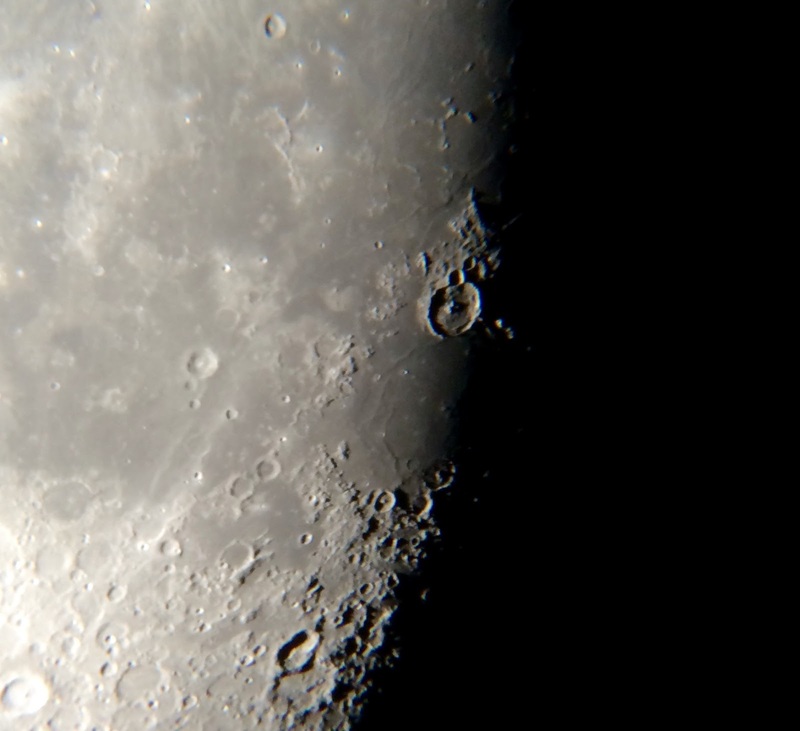 I took this with an unmounted iPhone through my Celestron 127slt.